Last night we went to see I Was A Rat at Nottingham Playhouse. A lovely venue with comfy seats and plenty of icecream! Quite simply I Was a Rat is the story of a boy who used to be a rat and is having a hard time adjusting to being a little boy.The world too (as ever) is having a hard time accepting anyone ‘different’. Taken in by the kind and rather adorable Bob and Joan, Roger’s playful spirit, limited understanding and ‘oddly acrobatic’ skills are accepted and appreciated by them alone. Rodger is in trouble at school, used by criminals, abused by the circus and basically maginalised, persecuted and punished for being different. I used to be a social worker and have been involved with many abused and marginalised children who society has rejected or pigeon holed for being different in terms of intelligence, for being without a family, or without a home. Rather than shore people up society tends to to break them down if they don’t fit in and this is so sad to see played out. I cried some very real tears watching this as this initially carefree boy ended up in a dark, dark place not wanting to go on. My son, aged 8 who accompanied me to this review, revelled in this story always believing it would end well and not reading it too deeply. The very physical nature of the theatrics; the jumping and twirling and wriggling and squirming enchanted him and moment was such a powerful element of the storytelling it replaced many words. I loved the characters of Bob and June and to see their romance blossom in the later their long marrriage. Having ‘our boy’ despite the problems unites them and encourages their respect and affection for each other to flourish. I found this so touching and it made me recall falling in love with my own husband all over again when we had our son, seeing him with fresh eyes being so loving. And their he was ‘my boy’ sat beside my munching his icecream and enjoying this grown up theatre, oh how I prayed then the world would never be cruel to him. 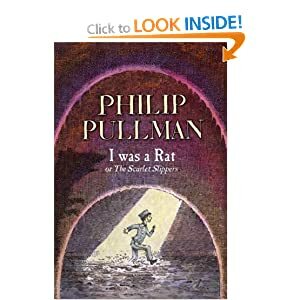 The only thing i did not enjoy about this very ‘human’ rat story was the pantomine element that creot in on one or two occasions. I understand that the carnival /street theatre costumes were part of the story and the story telling I don’t mean that. One character was however dressed exactly like a pantomine dame AND told a few topical jokes about horse meat , the grand national and what have you, I found this distracting, unrelated to the story and totally unecessary it just got a cheap laugh and was out of place and I think would be better left out. The stage effects throughout the play were gorgeous, in particlar the snow scene, the princess who was just a mask hands and shoes yet totalyl a full charcter and the many uses of the huge chair. The acting form Fox Jackson-Keen is spell binding, His innocence, his confusion and his pain is heart wrenching as his wanting to fit in and to please, At one point as he has to leave his mother I was in floods of tears feeling all those emotions of growing up and losing yur families protection. He really moved me with his acing, it was powerful. I think this story (which I had never read) has shades of Oliver Twist, Chitty bang Bang bang and the child snatcher and Mathilda. It is a dark fairy tale that touches you deeply and despite ending well laves you heart full of all sorts of emotion. I would highly recommend this theatre but I would not take a nervous child. Some bits are a little scary but I LOVED the happy ending. Next Post Do you think about retiring?